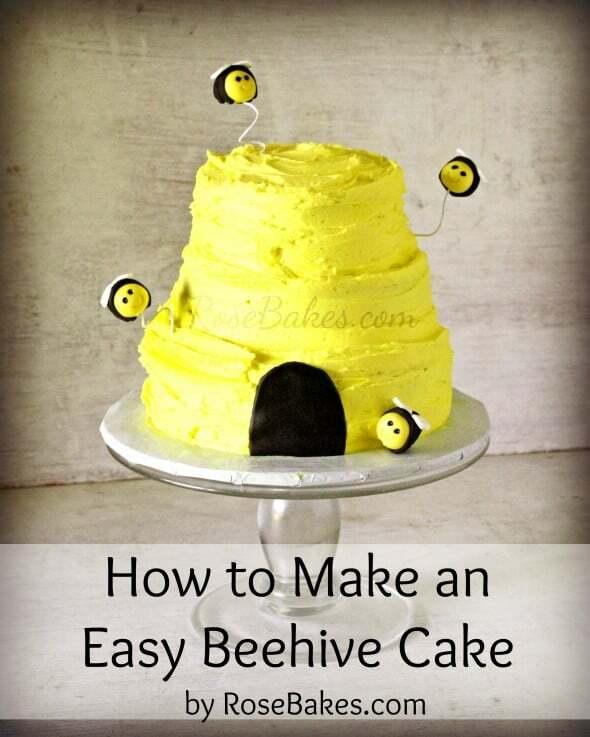 Today I want to tell you how to make an easy Beehive Cake. 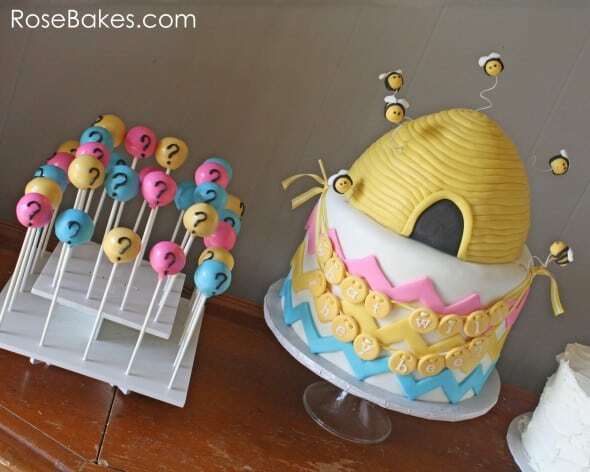 This is a small cake, probably 15 servings or less, but it’s super cute and super easy to put together. 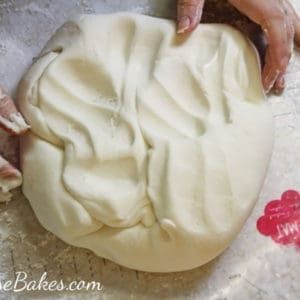 Start by baking 4″, 5″ and 6″ round cakes (I love Magic Line pans). If you don’t have all these pan sizes, you could bake a sheet cake then cut out different sized circles with cookie cutters. Okay – are you ready for the tutorial? Here goes… stack up the cakes from biggest to smallest and that’s it! I told you it was easy… buhahahaha! Okay – so there was a little more to it, but not much! 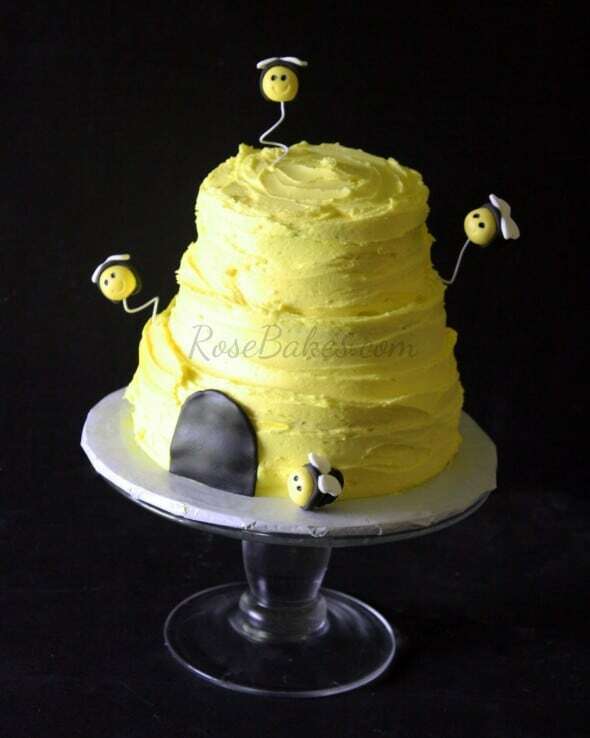 I made vanilla buttercream and tinted it yellow, then used a small offset spatula to frost the cake. I turned it around and around dragging the spatula to get the look. For the “door” I used a small piece of black fondant rolled out and cut into an oval (with one end cut off). 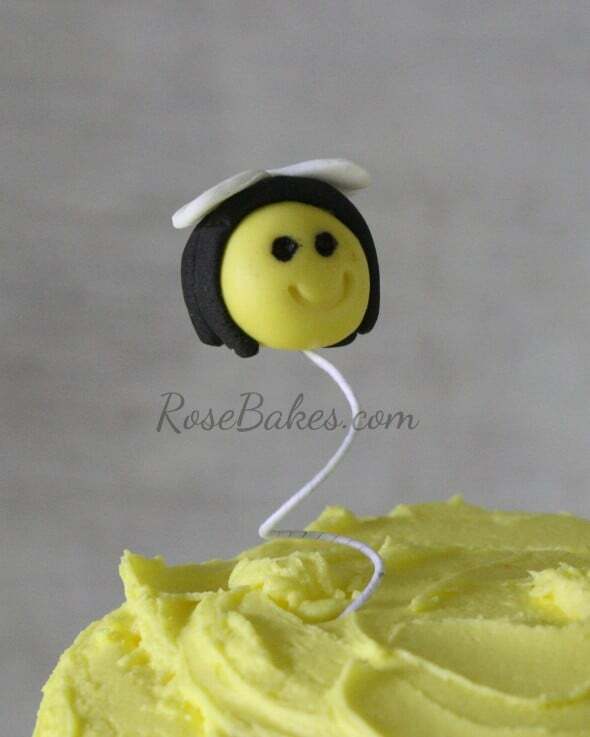 Then I made a handful of fondant bees (see the tutorial for how to make bee toppers here) and randomly placed them on and beside the cake. 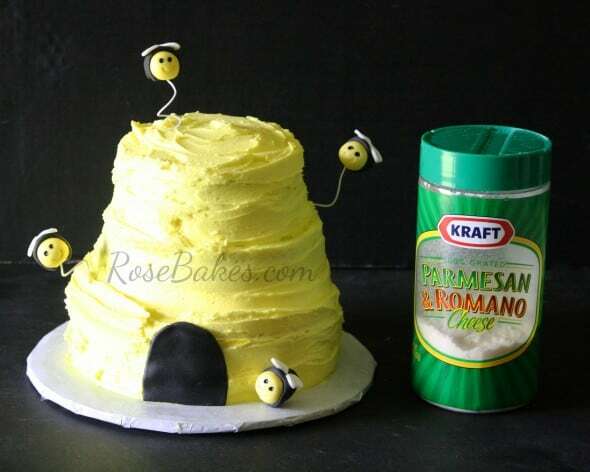 You could make the bees a few days early and then easily put this cake together in a matter of minutes (after baking & cooling, of course). And while this one was tiny (you can see how it was the same height as a thing of Parmesan cheese – maybe 6 inches? 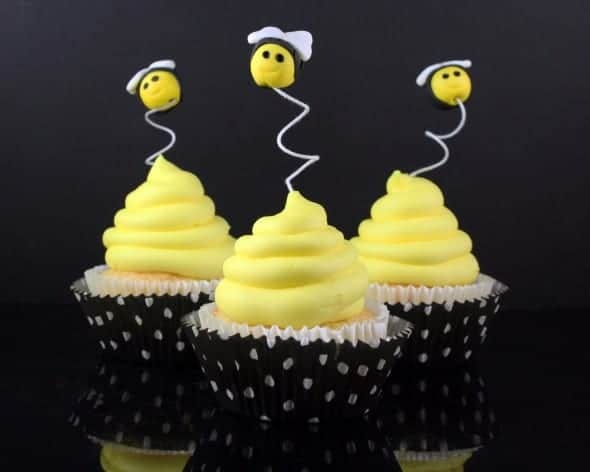 ), you could increase the cake sizes to have more servings if you need them! And that was it – seriously!! Do you have any questions? 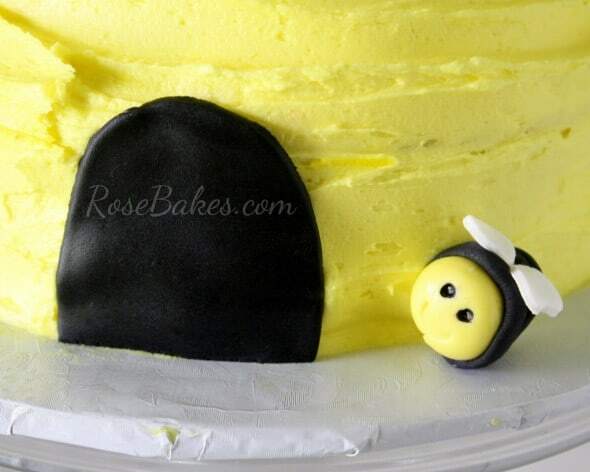 If you’re looking for a bee cake or ideas, be sure to check out my other related posts below! This is so cute! I use Magic Line pans all the time, they’re the best!